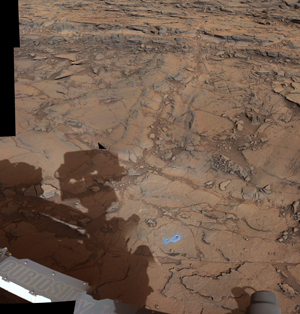 Even though humans have yet to set foot on Mars, we have already been digging and drilling beneath its surface. 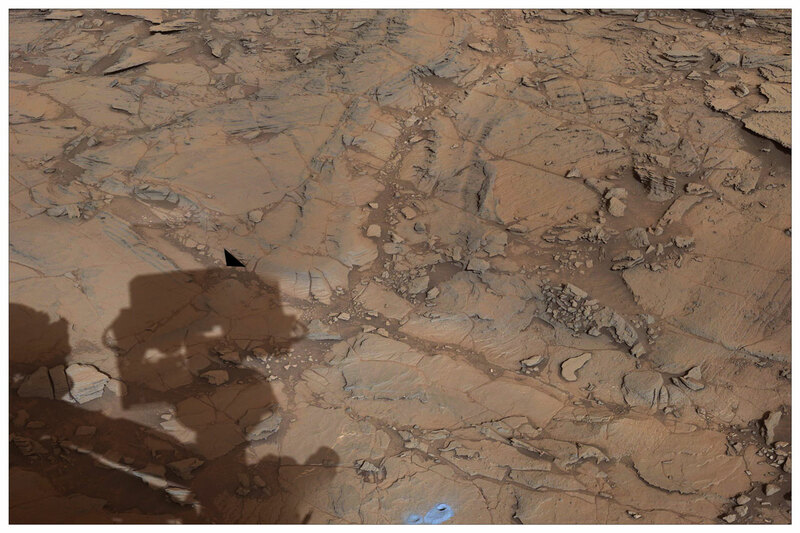 New results from the Mars rover Curosity show that some rocks in Gale Crater have a high content of the element silicon. Since the accumulation of silica typically require a combination of both heat and water, this place might once have been a good habitat for bacteria. The results have just been presented by the Danish Mars researcher Jens Frydenvang at a NASA press conference in San Francisco. 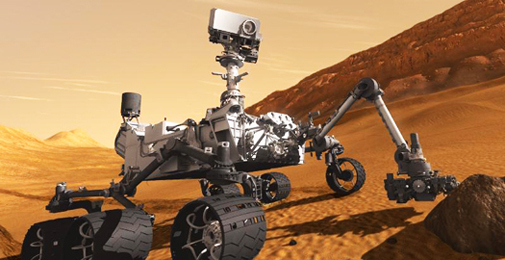 The Danish Mars group at the Niels Bohr Institute at the University of Copenhagen participates in NASA’s Mars mission, Mars Science Laboratory, which landed in Gale Crater in August 2012 with the rover Curiosity. On the Danish team is Jens Frydenvang, who works on the ChemCam instrument on the rover. 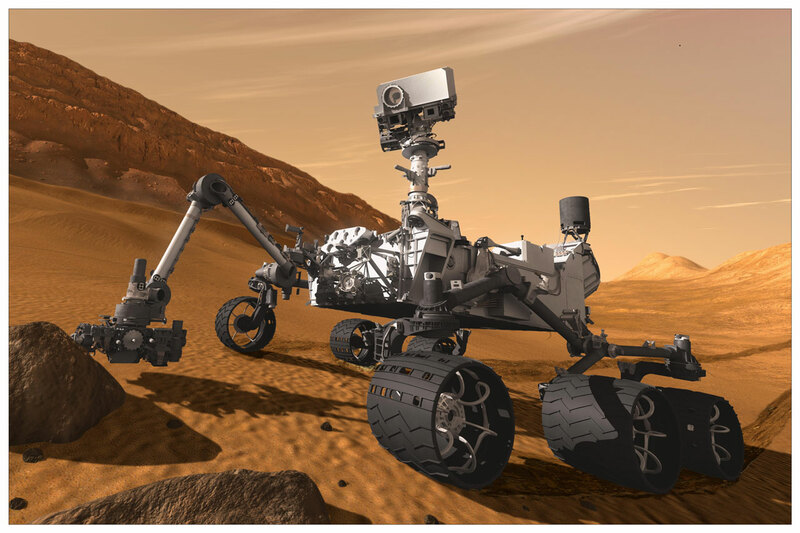 ChemCam is an instrument that can examine the mineral content of rocks by shooting a laser beam at them from a distance of up to seven meters from the rover. Jens Frydenvang works in the Mars Group at the Niels Bohr Institute, but is working for two years at Los Alamos National Laboratory (LANL) in the United States, where the ChemCam instrument was built. At a science team meeting for the more than 400 scientists that work with the Curiosity rover, it was revealed that there was a particularly high content of water on the surface at a certain place called Elk. Jens Frydenvang reported that in this particular area the measurements by the ChemCam instrument showed unusually high silicon values. This discovery let to Curiosity making a rare turnaround and drive back to carry out further investigations. It is results from these investigations that have now been presented at the press conference. “We have found an area with surprisingly high levels of silicon, and we are now working with several theories as to how this high concentration of silicon was formed. All the theories require large amounts of water and here on Earth a high silicon content is often associated with environments where there are excellent opportunities for life,” explains Jens Frydenvang. The main theories have to do with the influence of water that is acidic, alkaline or neutral. Water that is acidic will be able to wash away other elements, leaving the silicon. Alkaline or pH-neutral water can bring dissolved silicon in from other places. 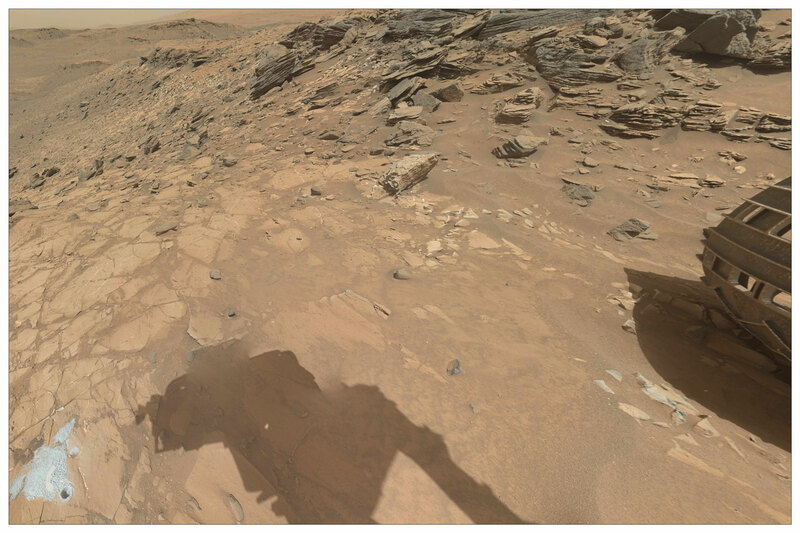 Another piece in this puzzle that the Mars researchers are trying to understand is that a siliceous mineral called tridymite has also been detected. Tridymite is rare on Earth and has never before been detected on Mars. On Earth, tridymite is formed at very high temperatures and is associated with explosive volcanic eruptions. “In the early years of the mission, Curiosity’s studies provided evidence that Gale Crater was once a big lake billions of years ago. The discovery of tridymite strongly suggests that there was also volcanic activity, just like the high content of silicon could have been deposited by flowing water. There has thus been flowing water present and it was warmer than usual on Mars. This provides excellent conditions for life. If there was life on Mars, it may have occurred here,” says Jens Frydenvang. This is supported by Morten Bo Madsen, the head of the Mars Group at the Niels Bohr Institute, who participated in all NASA Mars surface missions since Mars Pathfinder in 1997. Since landing in August 2012, Curiosity has moved closer to, and higher up, Mount Sharp, the central mountain in Gale Crater. “These new findings are both exciting and surprising. 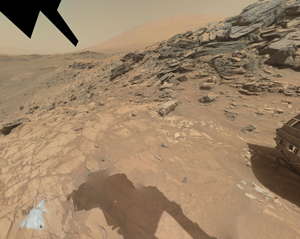 The Spirit rover that was active from 2004 to 2010 found high concentrations of silica at the area called Home Plate in Gusev Crater. As we develop the understanding of the new findings in Gale Crater we may better understand the potential for early development of biology on Mars. Hypotheses for the formation of the silicon-compounds found involve hydrothermal activity and on Earth these kinds of environments are recognised as being conducive to microbial life and for preserving traces for posterity”, says Morten Bo Madsen.